As a professional property finder in Gloucestershire we are able to find the ideal property for you to buy or rent through our personalised and tailored services, saving you time, money and hassle. Gloucestershire, with a population of around 600,000, is a charming rural county of 1,025 square miles stretching from the South Midlands into the South West of England. It consists of part of the Cotswold Hills, a band of limestone hills internationally renowned for its idyllic mellow stoned villages, such as Stow-on-the-Wold and Chipping Campden, as well as part of the valley of the River Severn and the entire Forest of Dean. Gloucester is the county town famous for its Norman Cathedral. Other principal towns include Cheltenham, renowned for its Regency architecture and Spring Horse Racing Festival and the Roman town of Cirencester. Gloucestershire has many excellent state and independent schools, including the renowned Cheltenham Ladies College. There are good road connections to the south west via the M5, to the north via the M5/M6 and M42, to Wales using the A40 and the M4 and to London and the south-east using the A40 and the M4. By rail, Gloucester to London takes approximately 2 hours. Gloucestershire is well known for the eccentric sport of cheese rolling whereby a round of cheese is thrown down a muddy, slippery hill pursued by competitors hoping to catch it! John Stafford-Smith, composer of the tune for the American National Anthem, the “Star Spangled Banner”, was born in Gloucester in 1750. Most of Gloucestershire’s prestigious buildings were built when there was great wealth from the main industry – wool from sheep. 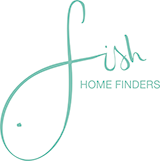 To find out more about how Fish Home Finders can help you with our personal property finder services in the Gloucestershire area, please don’t hesitate to contact us on 01789 491626, or complete our simple email enquiry form.